What can be a better start than an appropriate, famous quote from Michael Josephson: Be thankful to quality competitors, who push your limit. This quote befits the best when studying about your competitors, to work a better strategy for your digital marketing. Another famous saying by Jack Ma goes like “You should learn from your competitor, but never copy. Copy and you die”. This saying again accounts for what should one learn from his competitors in order to rule the market. Having said that, competitor analysis is the process of having a sneak peek into the working strategies of your competitor. Which is followed by your creativity to devise a strategy better than that. To begin with, you should determine your current and prospective online competitors. As a pre-requisite, you should be well aware of the fact that online competition is totally different from the regular elementary competition. Now, here arises the need for the proficient tools like SEMrush to analyze both, your organic and potential competitors. 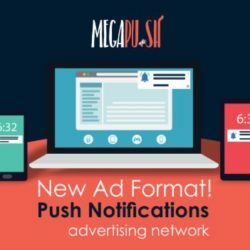 Not only this, but SEMrush also helps you accumulate the data, which can be further employed in devising a persistent online marketing strategy. 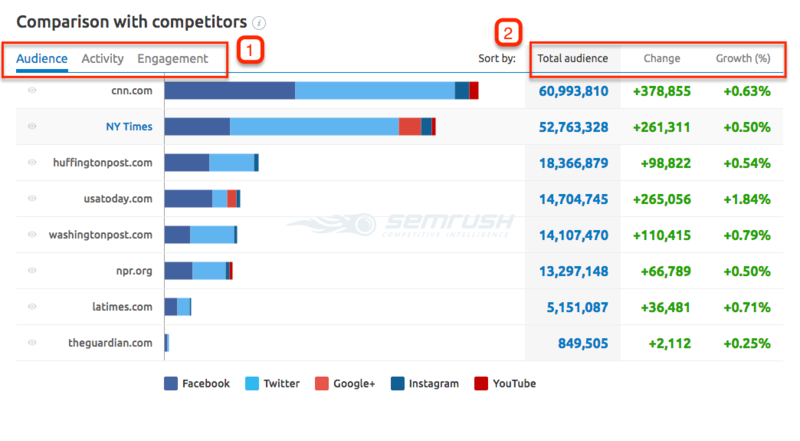 Subsequently, this article showcases the art of practicing the competitor analysis tools subsumed under SEMrush. 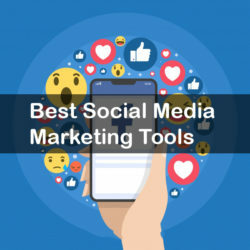 These tools are to be put into practice to help you draw a competitor analysis and contrive an online marketing strategy to surpass all your competitors. To embark upon, you are required to determine your organic competitors. The major reason to identify these domains is that they share the search engine real estate in compliance with your domain, for all the crucial keywords. Then, select the option ‘Competitors’ to sight the sites that rank due to the similar organic keywords to that of your domain. 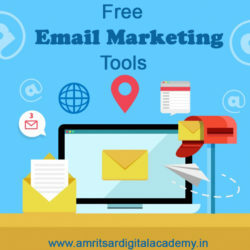 Amritsar Digital Academy is a digital marketing training institute in Amritsar, India offering advanced digital marketing courses. Since this is a highly competitive industry; it was no surprise to find other websites of the academies sharing numerous common keywords. Some of the top digital marketing academies are Indian Digital Academy, Chennai Digital Academy and many more. Once the results are displayed, you can scroll down to view the complete list of your competitive domains. These domains get ranked all by itself due to the level of competition. However, the foundation of the competition level is laid down by the analyzed number of keywords shared by two domains in common. Therefore, the more keywords employed by the two domains in common, the more likely they get competitive against each other. 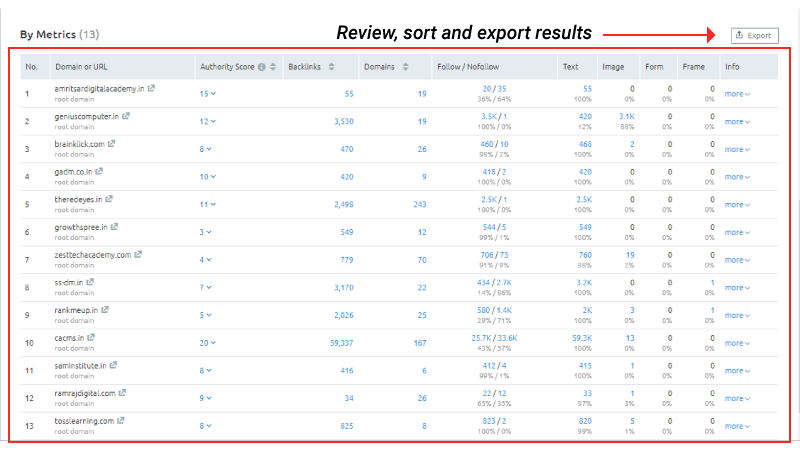 Moreover, you can also filter the report by the volume of the same keywords you share with each of the listed domains. By employing Position Tracking Tool, you are empowered to keep a tab on your site as well as your competitor’s site’s daily rankings with reference to a customized set of target keywords. 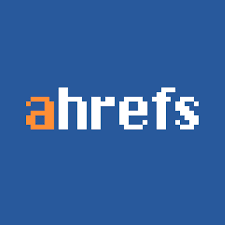 The tool not only allows you to track but also to draw a comparison of your rankings between different geographical locations or types of devices and uncover new opportunities with regard to the snippet. To begin with the position tracking tool, the first step is to create a new project on SEMrush. Once you have created the project, you establish a position tracking campaign for both your domain and your competitors’ domains. You can add a maximum of 20 competitors to your campaign. Let’s have a closer look at the configuration of this tool. To open the configuration window, click on ‘Set up’ from your project’s dashboard under the Position Tracking. Here, you will find your domain listed by default. Open the drop-down menu of the settings and select the option ‘Tracking root domain’ to derive the best possible data. 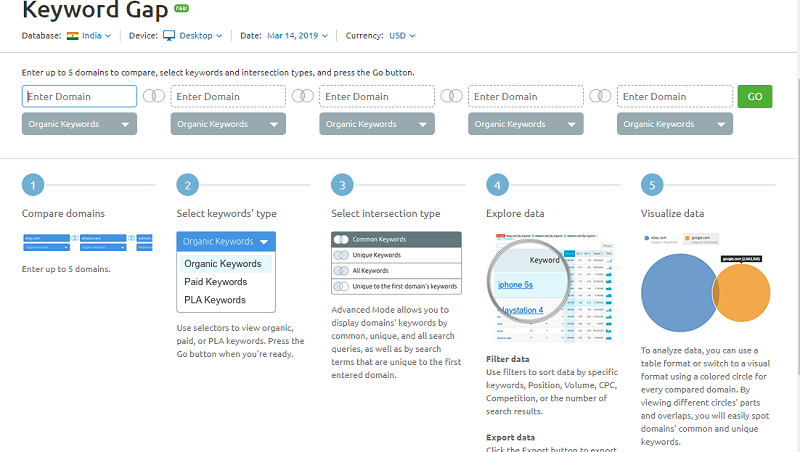 SEMrush’s Keyword Gap tool permits you to annex up to five domains and then draw a comparison between different types of keywords(paid, organic, PLA) among them. Select the type of intersection by clicking on the Venn Diagrams adjacent to each domain. The type of intersection selected, signifies the keywords that will be displayed by the tool to you. Therefore, every intersection speaks differently about your position in the competition. For Example, “All Keywords” list all the keywords that are used by your competitors to drive their traffic. 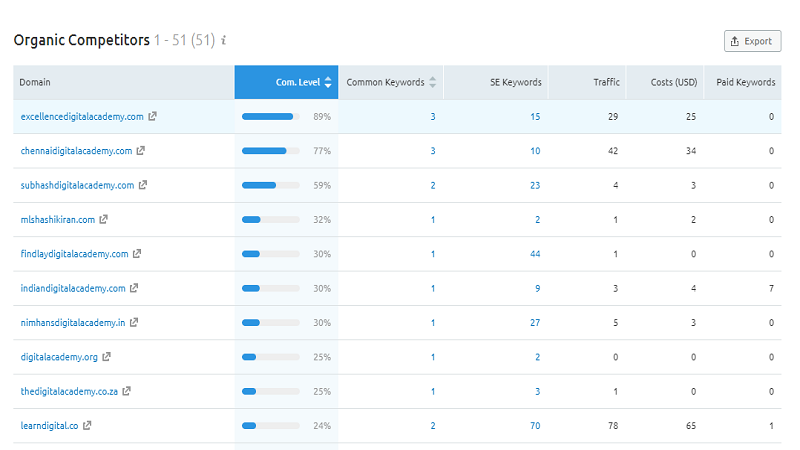 Likewise, “Common Keywords” allow you to observe the keywords where both the websites have been ranked. Now, that you are done with selecting the keyword and intersection type. You are good to proceed with the ‘GO’ button. You can also put the filters into use, to surf the data deeper. These filters help you screen the words to draw a comparison between those word s and other keywords relating to a specific subject. Further, these filters allow you to be more specific and locate gaps where you should take action. It is irrefutable, that although link building is one of the greatest challenges of SEO, yet building backlinks is important for high SERP. But, fortunately, Semrush’s Backlink Gap Tool has made it easier to confront such challenges successfully. Using the Backlink Gap Tool you have access to the analysis of up to five competitors’ backlink profiles. Further, this data can be employed in tapping the link building opportunities that were left untouched. Once more you can access the data from the Organic Competitors report. 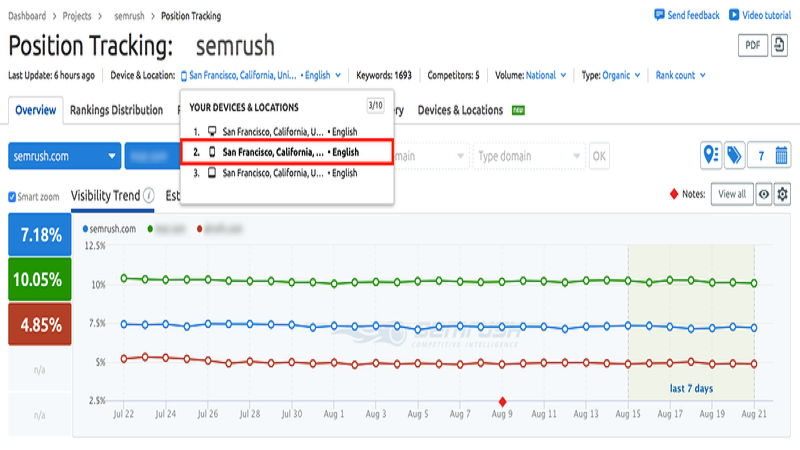 When you enter your competitor’s domain, click on the green button and allow Semrush to gather the data for you. Now your screen will display the results projected by the Backlink Gap Tool. The results will be a graphical and tabular representation of the comparison between the domains’ (you entered) backlink profiles. This graph will help you gain an insight into the new link building capacity of your competitors if any. 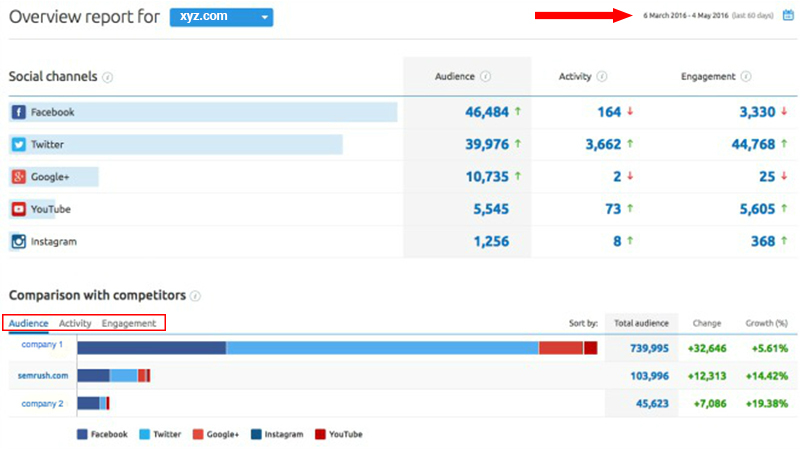 The Bulk Backlink Analysis Tool allows you to gauge your position in comparison to your multiple competitors. You can collate your backlink profile with that of your competitors. 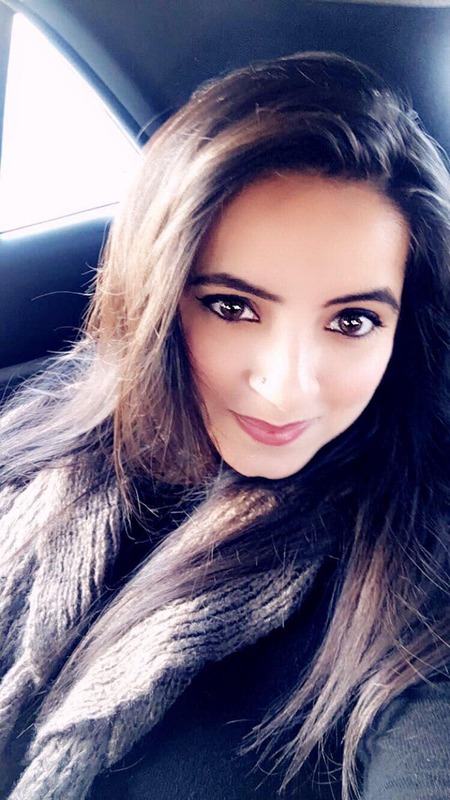 Now, the next question that would pop-up in your mind is where does the difference between lie between backlink Gap and Bulk Backlink Analysis Tool? The major difference is the scalability of these tools. On one hand, the backlink gap as discussed can portray the results for only up to 5 domains. On the other hand, the Bulk Backlink Analysis tool, allows you to draw a comparison between 200 domains at a time. Enter up to 200 domains (one each line) into the boxes placed at the top of the report. 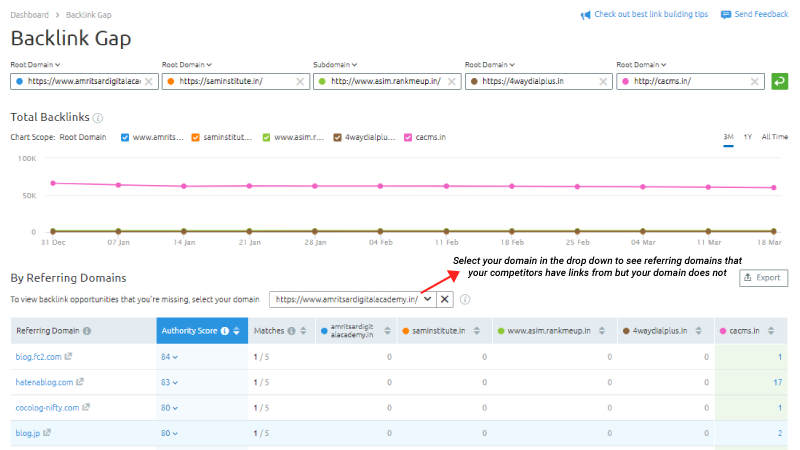 Hence, the Semrush will display the results showing the number of backlinks and referring domains attached to each URL entered. Educational, governmental, .com, .net, .org links. Social Media Tracker is one of the tools of Semrush that allows you to view the overall performance of the social media profiles of your competitors. Connect your social accounts such as Facebook, Twitter, YouTube and so on. On the basis of your social networks that you had connected, Semrush will generate the results automatically. 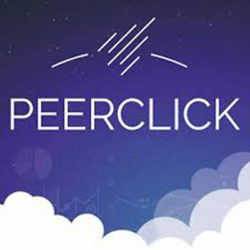 It will display the selected competitor’s audience size, activity, and engagement on different social media platforms. Pick the range of the data, you would want to analyze. 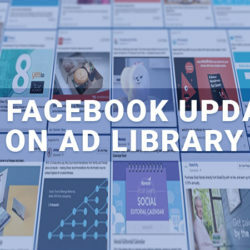 Through this data, you can analyze the platforms from where your competitor is seeking a good volume of traffic and is frequently posting to get higher engagements. Later, scroll down to the Top Content Section to view your competitor’s most winsome post over a specific period of time. Here you will explore their social media posts that got a maximum volume of engagements. 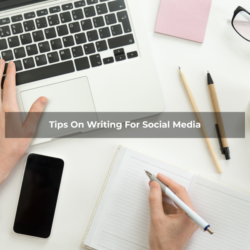 Now, to contrast your social presence with that of your competitors’, you should scroll down further until you reach “Comparison with Competitors”. Here you will see a graphical representation of your social media performance with that of your competitors’ on three metrics: audience, activity, and engagement. You can also change among the options like audience, activity or engagement with the titles placed at the top left. Moreover, you can also sort the results by the options at the top right like a total number, change or growth (%). Perhaps, you can also remove and add the social networks from the data displayed, with the blue and red squares placed right below the graph. 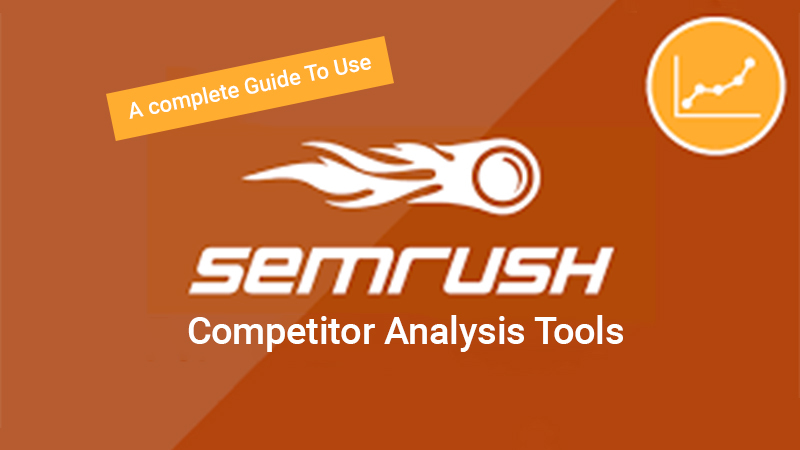 However, Semrush Competitors analysis tools are highly recommended to know your competitors’ strengths and weaknesses and accordingly chalk out the strategies. 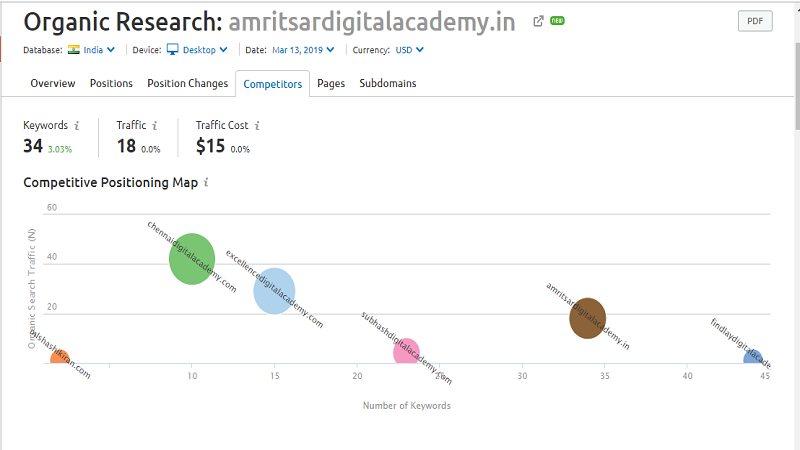 And what could be better than Semrush to analyze the competition. 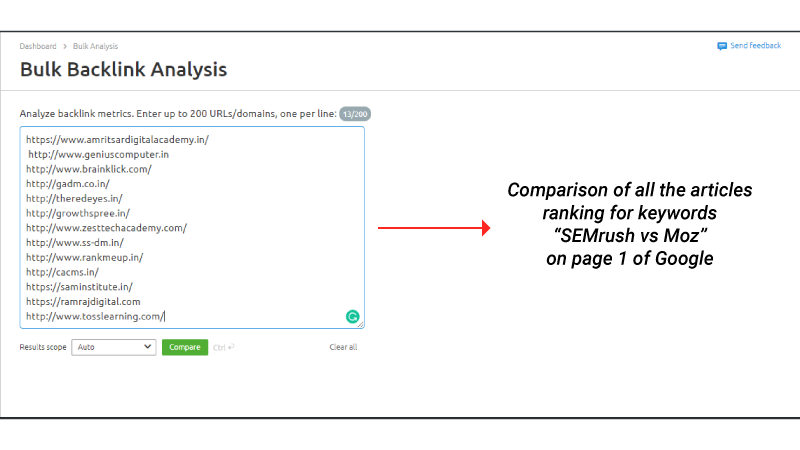 I hope this article vividly showcased all the aspects of all the tools included in the Semrush to help you in having a clear analysis of your competitors. Moreover, Semrush is one of the most powerful digital marketing software to keep you ahead of your competitors. 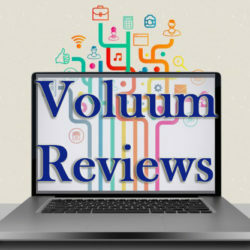 So, do try your hands on this software to outperform your competitors.